- Waterproof, mildew, quick dry, wrinkle resistance. - Metal buttonhole, not easy to rust and rot, durable. 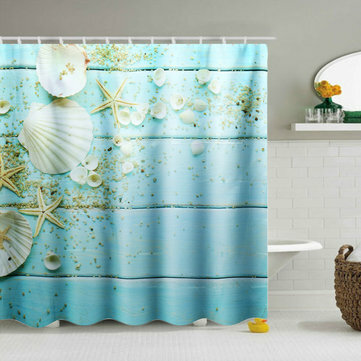 - Beautiful Sea shells printed design brightens your bathroom and makes it elegant. Material Aprpox. 180 x 180cm / 70.87 x 70.87"